Pineview Housing Association encourages all our residents to pay their rent charge in full and on time. Charges are due to be paid monthly, in advance on or before the 28th of the previous month - for example, the rent for June is due to be paid on or before the 28th May. Payments can be made weekly, fortnightly, 4 weekly or monthly. If you choose a payment frequency other than monthly, please ensure you agree this with your Housing Officer and make sure that your account does not fall into arrears because of your chosen frequency. Contact the office to set up a direct debit, alternatively you can request a form to set up a standing order. 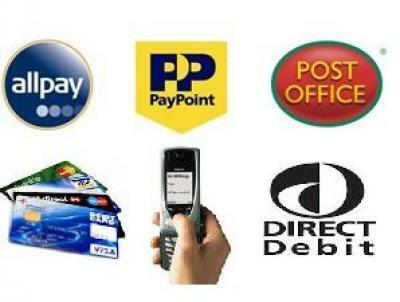 Payments can be made using your Allpay Card at any Post Office or wherever there is a ‘PayPoint’ sign displayed. Find your nearest Allpay payment outlet. If you have an Allpay Card you can pay online using a debit or credit card. The Allpay App is a mobile application (App) available to download for your mobile device. The allpay App is available free of charge and enables you to pay your rent or factoring charges easily, wherever you are, at the touch of a button. Call 0844 557 8321 (24 hrs a day, 7 days a week) quoting the reference number on your Allpay Card to make a payment with a debit or credit card. A secure SMS text message bill paying option, giving you even more flexibility in the way that you make a rent payment. To begin using Text Payments, you simply need a UK-registered mobile phone, a valid Allpay Card and a current debit card. After a very brief registration online you can pay your rent anytime, anyplace, anywhere – quite literally! You can either phone 0141 944 3891 or visit the office to make a payment with a debit or credit card. Cheques should be sent directly to the Association, ensuring that your name and address are clearly written on the back for reference purposes. If you're on a low income, whether you're working or not, and need financial help to pay all or part of your rent, you may be entitled to receive Rent Direct. Rent Direct is a method by which Pineview receives payment every four weeks from Glasgow City Council for all or part of your rent charge. It is your responsibility to ensure that your claim for rent direct is being paid. For more information, including an Online Benefit Claim and Calculator tool visit Glasgow City Council website.